Chaat Ka Chaska is new venture of Brewbakes Café aim to serve franchise for street and fast food services. Our venture appreciated by the people who aim to own their business in food business but skip due to less monetary funds. We stand with them by offering minimum investment option to the interested folk who wishes for food business ideas with low investment. Thus, join our Chaat Ka Chaska Street and Fast Food Franchise Outlet Opportunity in Puducherry and enjoy good earning. Why Chaat Ka Chaska in Puducherry? There several tourist spots in Puducherry that welcomes its guests with open heart. Some of these includes Puducherry Sacret Heart Of Jesus Church, Arulmigu Manakula Vinayagar Temple, Rock Beach, Seaside Promenade, City Tours, Immaculate Conception Cathedral, Varadaraja Perumal Temple Sri Aurobindo Ashram , Serenity Beach, Bharati Government Park, French War Memorial, Gift and Specialty Shop, Temple Adventures ,Urban Nomad Dive Adventures and many more sights attracts the tourists folks. Puducherry is among one of the union territory of India. It is the center of attraction among all the tourists. Puducherry is also popular for its eateries that cover a wide variety of cuisines ranging from French, Indian and Italian to Mexican, Thai and Chinese. Some restaurants also serve a unique Indo-French cuisine that gives tourists a taste of Puducherry's colonial influences. Beside this the love for street and fast food culture is vastly observed among local and tourists folk who enjoy eateries in every market place. Therefore, Chaat Ka Chaska Street and Fast Food Franchise Outlet Opportunity in Puducherry will be best option to give successful path to your own food business. Chaat Ka Chaska ensure a good ambiance and atmosphere where people can sit and enjoy lip-smacking street foods like Chaat, Bhelpuri, Pani Puri, Bullet, Chap, Honey Potatoes Chilly, Chole Bhature, Frankie, Wraps, Pizzas, Noodles, Chilly Paneer, Tikki, Vegetable Dumpling, Soups, French Fries, Spiral Roll, Dhokla, Kulche, Idli, Dosa Sāmbhar with Coconut Chutney, Sevpuri, Sandwich, Pakodas, Samosas, Burgers, Dahi Bhalle, Pav Bhaji, Momos, Rolls, Manchurian, Veg Triple, Pasta, Fried Rice and many other delicacies. 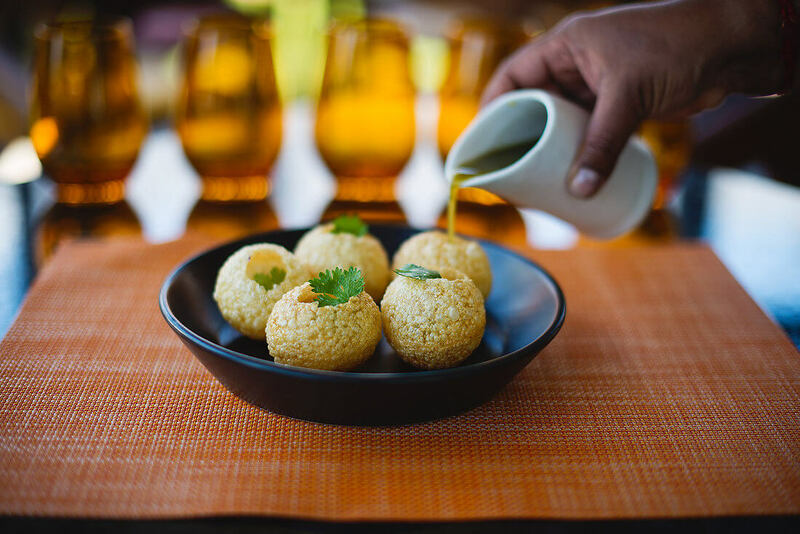 Hence, such delicious food items will increase your customer potential while making your Chaat Ka Chaska Franchise in Puducherry to fly high within fewer courses of time and money indeed. Chaat K a Chaska Street and Fast Food Franchise Outlet in Puducherry will create fantastic food franchise concepts to ensure success in the street food business. Being professional in food business we will avail you will all the essential amenities and guidance to handle your new business. While enjoying new lip smacking taste of street food chaat and fun filled street food items your customers will increase your demand in the food business. So what are you waiting for? All you need is to visit our website and approach us for best franchise food business outlet. We are here to help you to best establish your Chaat Ka Chaska Franchise in Puducherry and prove your business thought into better ROI reality.